In its relentless pursuit for growth, Uber needs new drivers, and many of those drivers need cars. 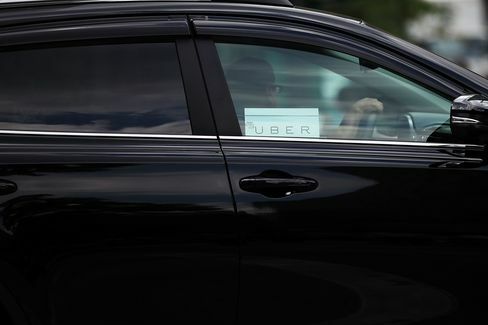 To help them get started, Uber has been offering short-term leases since July through a wholly owned Delaware-based subsidiary called Xchange Leasing, LLC. It partners with auto dealerships, advertises to drivers, manages risk, and even pays repo men to chase down cars whose drivers aren't making their payments. Xchange may be key to Uber's continued expansion as it tangles with Lyft in the U.S. and a bevy of competitors abroad. Uber announced a partnership with Toyota last week to finance even more cars. This year, Uber said its financing and discount programs, which include Xchange, will put more than 100,000 drivers on the road. That requires dipping into the vast pool of people with bad or no credit. In a deal led by Goldman Sachs, Xchange received a $1 billion credit facility to fund new car leases, according to a person familiar with the matter. The deal will help Uber grow its U.S. subprime auto leasing business and it will give many of the world's biggest financial institutions exposure to the company's auto leases. The credit facility is basically a line of credit that Xchange can use to lease out cars to Uber drivers. Uber's lease is more flexible than most subprime leases, the company said. After the first 30 days of the lease, a driver can return the car to Uber with two weeks notice, without any additional fees, apart from the payments they owe and the $250 they paid up front. Many other leases also charge drivers by the mile if they exceed a certain mileage threshold. Not Xchange, though; Uber wants to incentivize drivers to keep logging miles.